The big banks and wealth managers are rallying hard on the share market as traders digest a royal commission report that has been described by one leading analyst as a “clear win for the banks”. Embattled wealth managers IOOF and AMP were leading the way halfway through the trading day, up 11.7 per cent and 9.5 per cent respectively. Investors had feared that commission’s final report would recommend banning vertical integration in the financial sector, where the same companies that have advisers selling financial products also manufacture them, leading to a real or potential conflicts of interest. While Kenneth Hayne did recommend banning the remaining “grandfathered” trailing commissions on financial products — payments that an adviser gets as long as the customer is invested in the product — and also called for the eventual abolitions of commissions for planners selling insurance policies, he stopped short of ending vertical integration. The lifeline extended to AMP and IOOF’s business model also extends to the wealth management division of Westpac, which the bank will be able to retain. Its shares had surged 7.5 per cent by 12:30pm (AEDT), adding around $6.5 billion to the value of the company so far today. Having already shed, or being in the process of shedding, their wealth management and insurance arms, the other major banks had smaller, but still spectacular, gains. ANZ was up 6.7 per cent, NAB 5.2 per cent and CBA 5.8 per cent. 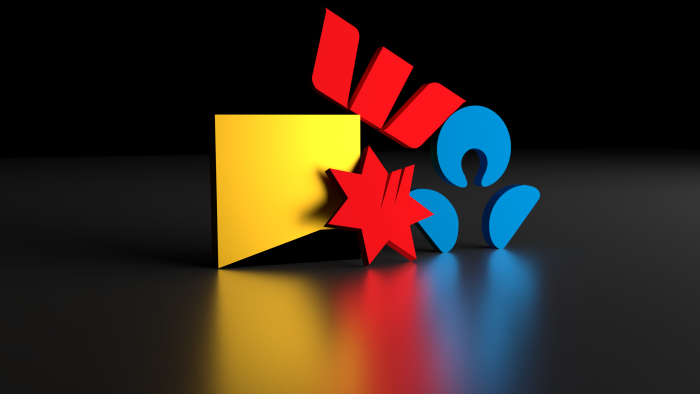 ANZ and NAB, like Westpac, are back to share prices last seen in November, before a big December market sell-off gathered steam, while the Commonwealth Bank is at its highest share price since August — although all the banks are down from their values before the royal commission started hearings in March. In a report titled “tough talk, soft recommendations”, UBS banking analyst Jon Mott noted that investors were expecting far more damaging findings and far reaching reforms. “The much anticipated release of the royal commission final report was disappointing, in our view,” he wrote in a note to clients last night. “There was much discussion around misconduct within the banks and the need to change culture; however, the final recommendations fell well short of market expectations. A key fear for all the major banks, and other mortgage lenders, was that Kenneth Hayne would recommended tighter loan assessment standards than those currently in place. At the behest of regulators, and in fear of the royal commission’s recommendations and a court case against Westpac, the major banks and other lenders have already made changes to loan applications to better verify the income and expenses of applicants to ensure they can afford to repay their debts. However, the report recommended no changes to the responsible lending laws, largely leaving it up to the Federal Court (in the Westpac case) and the banking regulator APRA to determine what is required to comply with the National Consumer Credit Protection (NCCP) Act. This is unlikely to result in a dramatic loosening of the current, tighter, lending standards, but averts the risk that loan applications may have become more onerous and access to credit further restricted. “While we do not anticipate a loosening of underwriting standards or reacceleration of lending, the soft recommendations of the royal commission final report is a clear win for the banks,” Mr Mott explained. Not that the UBS analyst is expecting a renewed lending boom or housing market revival. “The risk of the credit squeeze turning into a credit crunch is real and rising, with the housing market now falling sharply and economic data deteriorating,” he added. This deterioration in economic data was highlighted by a steep fall in retail sales during the key pre-Christmas December trading period. Ben Udy from Capital Economics agrees with Mr Mott’s assessment. “The final report by the royal commission may add to the changes in bank behaviour that are already underway,” he wrote in a note. “The report did not recommend much that is likely to cause an upheaval for the finance industry. One large sector of the home loan industry is fearing for its future, though, with mortgage brokers facing the loss of trailing commissions in just over a year’s time, and at risk of losing commission payments altogether. While the Government has not adopted Mr Hayne’s recommendation in full in this area, the commissioner ultimately wants to see the customers of a financial service pay for it to avoid real and potential conflicts of interest. This user-pays approach would see a big drop of in the use of mortgage brokers, who currently write more than 50 per cent of home loans. Large listed broking firm Mortgage Choice has slumped around 27 per cent as investors digest the potential implications of the report for its profitability and future viability. The changes may also see more customers go to the major banks for loans, with their bigger branch networks and advertising budgets. This has seen smaller lenders such as Bank of Queensland (2.9 per cent), Bendigo and Adelaide Bank (3.2 per cent) and Suncorp (1.4 per cent) post smaller gains today. Mr Mott said the ultimate risk from the softly-softly approach taken in the royal commission’s final report is that bankers will revert to form as soon as the public spotlight shifts away. “Without powerful recommendations, we are concerned that ensuring lasting cultural change over the years may be difficult, especially as management and boards rotate,” he concluded.